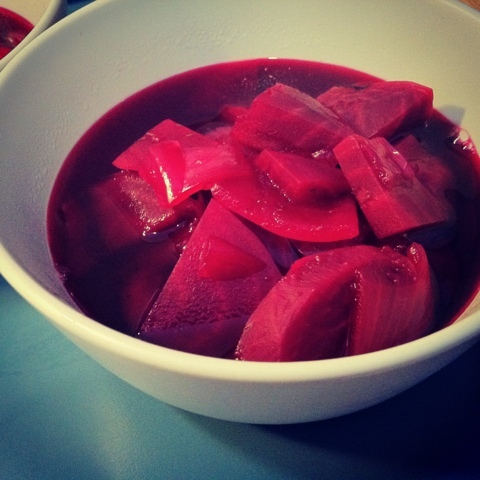 Beets are said to boost the immune system, and since we've all been fighting colds and flu's this season, a Hot Beet Borscht is the perfect recipe. In a large pot combine beets, water, dash salt and onions, bring to a boil. Reduce heat and cover, simmer for 30-40 minutes. Stir in remaining ingredients.